Bringing students to the table to connect is just the start for Greek House Chefs. Our team, with the help of a highly sought after local app company, has cultivated the industry’s most comprehensive app for our students, and we are darn proud of it! Students are able to do a whole lot more than just sign up for a Late Plate and view a menu with our custom built app. Completely customizable and reliably responsive, the GHC App puts food (and so much more) at students' fingertips. Three years ago, our students were asking for an on-the-go solution to view their menus so they didn’t always have to come back to the chapter house to see it hanging up on the bulletin board. We took the request and ran with it, and we didn’t slow down until it was perfect. Contact Management directly. And yes, we review each and every submission and take care of requests ASAP. Having the GHC App as an outlet makes for a much more interactive experience and allows the students to have a voice in their food service. We knew that if we were going to create a custom app for our students, it was going to be the best in the business and we wouldn’t stop until it was just right. 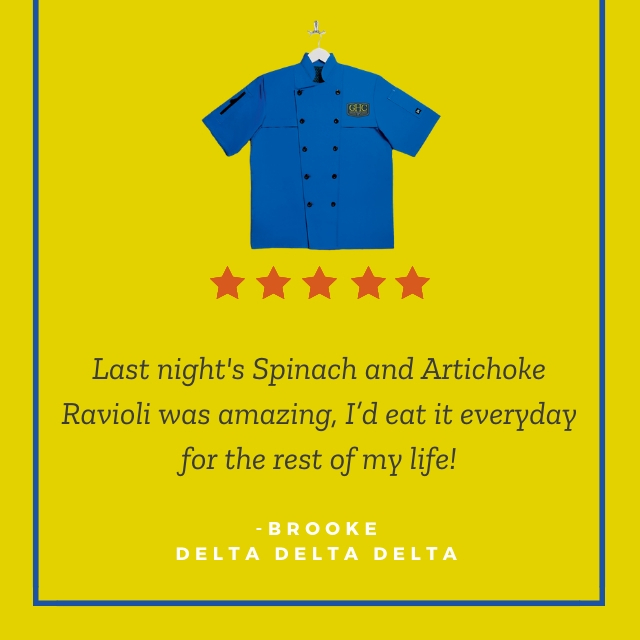 Students in our chapters love being able to share their feedback from the meals that they are getting from their fraternity chef. Our Blue Coat Army is able to use the information the students share with us to delight the masses and bring ‘em home to dinner each and every night. Not only can they utilize the feedback they receive after meals, but our elite Blue Coat Chefs also write their menus based off of requests from the house via their Cravings list. Our students aren’t on the meal plan to receive the same kind of food they could go get in the dining hall, they want scratch made and healthy options that might push the envelope every once in a while. After all, they are in college and what better time to experiment with some dishes or flavors they have never tried before. And if it was a hit, they will let the chef know in the app reviews after the meal. 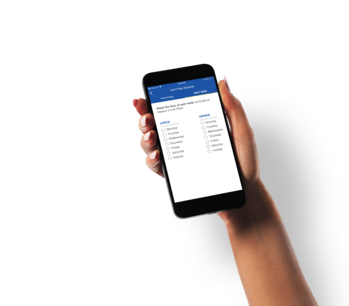 To see how much our Chapters love the app, check out our video highlighting our comprehensive app exclusively offered to fraternities and sororities that are members of the Blue Coat family. The GHC App is available for free to Greek House Chefs chapters on the App Store or Google Play. Previous Post How an inexpensive food service company can cost your chapter in the long run Next Post Who is... Corey Hansen?